Hartley parish church is first mentioned in 1115, but almost certainly existing in Anglo-Saxon times. Much of the building is Norman, probably of about 1100 date, with c13th additions. There were substantial alterations in the c19th when the east and west walls were rebuilt. Of particular architectural interest is the Norman door - a fine example of the local blacksmith's art, and the the scratch clock on the south wall. The Churchyard is closed and now maintained by the parish council. A history guide is available from the Friends of All Saints'. The Church is open during the day. 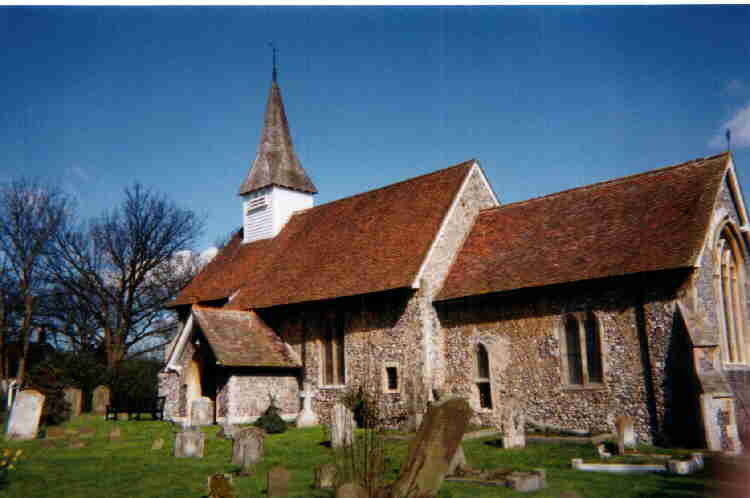 In 1983 Hartley Parish was united with the neighbouring parish of Fawkham as a united benefice. The right of presentation of the rector alternates between the Bishop of Rochester and the Dean and Chapter of Rochester Cathedral. Parish of Fawkham and Hartley website. And the following sites may also be of interest. Probably one of the most original RC churches in the country, it was once a barn attached to the neighbouring Middle Farm, which was converted into a church by the owner Miss Beatrice Davies-Cooke in 1913. 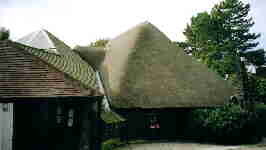 It is mainly timber and thatch, with a modern extension to the south. A history and guide is available in the Church. The Church is open during the day. Click here for the Church's website. 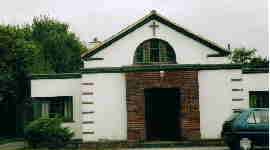 Hartley's third church was opened on 15 September 1934. Rev Kenward said at its opening "The Church was being built not only for Congregationalism, but for something that mattered far more than that - the Kingdom of God". The Church has a hall, and an attractive grassed area at the back, that was originally intended as a manse for the minister. It is part of the Gravesend Circuit. The largest of the local evangelical free churches, the Community Church has its offices in the Upper Street of the New Ash Green Shopping Centre. Recently it applied to build a large church in Ash, but was refused by Sevenoaks Council. The Church also runs many social activities. The Church's vision statement is "to be a worshipping community, devoted to Jesus and reaching out to others with his love and power".